Having read two interesting articles recently-“Thought experiment walking conference calls sitting is killing me” and “Hiking makes you happier“, I have been thinking about how much as slave to the keyboard I have become recently and need to break away from it. Unfortunately there is the need to still sit at my desk and type lots of documents and architect pictures, however there is a need to move round more frequently. Have you summed up how long you sit or use a device? I combine walking and hiking (outside of my normal work hours of course, mainly at the weekends) with one of my other outdoor pursuits of bushcraft where I can spend time outdoors getting exercise and away from a keyboard. Taking some inspiration from The Hike Guy and my Personal Journals, I have created a Hike Journal/Log Book. 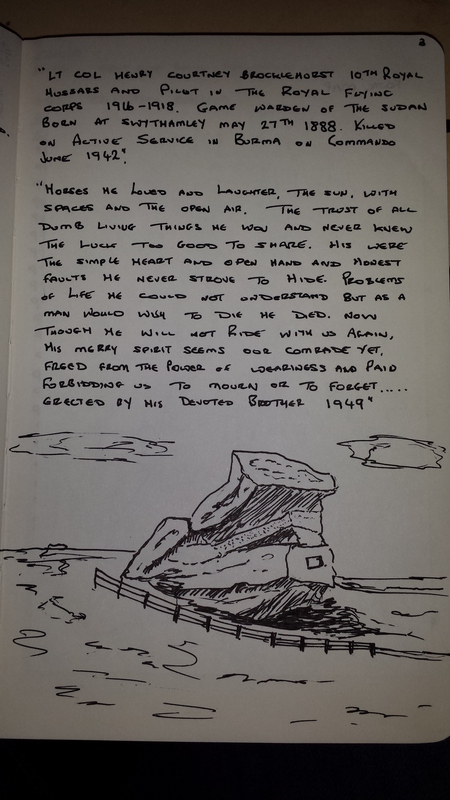 The page below is from a walk I have done around “Hanging Stone” and “Luds Church”. The page describes some of the history about the Hanging Stone and the plaques on it. Hopefully will add many more walks into the Journal. Where will your feet take you this weekend?